al-Imaam an-Nawawee comments [Riyaadh as-Saaliheen #1494]: This hadeeth makes it evident that one who prays for someone in his absence also stands to benefit from it because the angel appointed for the task of praying for those who pray for others will pray for him, saying, "O Allaah! Grant him also the same which he has asked for others". No view is binding unless it is based on the Book of Allaah or the Sunnah of His Messenger (peace and blessings of Allaah be upon him). Everything other than them should be based on them. End quote. From these two sources the scholars derived other principles on which rulings may be based. Some scholars called them the sources of sharee’ah or the sources of Islamic legislation. 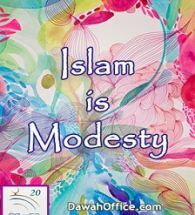 They are: ijmaa’ (scholarly consensus) and qiyaas (analogy). 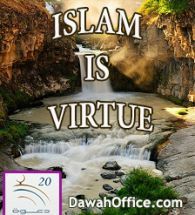 Imam al-Shaafa’i (may Allaah have mercy on him) said: No one has any right whatsoever to say that something is halaal or haraam except on the basis of knowledge, and the basis of knowledge is a text in the Qur’aan or Sunnah, or ijmaa’ (scholarly consensus) or qiyaas (analogy). End quote. 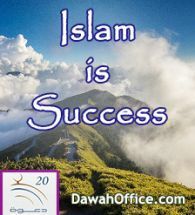 If we say Qur’aan, Sunnah and ijmaa’, they all stem from the same source, because the Messenger agrees with everything that is in the Qur’aan, and the ummah is unanimously agreed upon it in general. There is no one among the believers who does not believe it is obligatory to follow the Book. And everything that the Prophet enjoined in his Sunnah, the Qur’aan obliged us to follow it. So the believers are unanimously agreed upon that, and everything on which the Muslims are unanimously agreed can only be true and in accordance with what is in the Qur’aan and Sunnah. End quote. What is meant by the sources of fiqh is the evidence from which it is derived and on which it is based. If you wish, you may say: The sources from which it is derived. 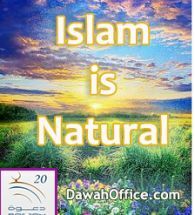 Some people call these sources the “sources of sharee’ah” or “the sources of Islamic legislation.” No matter what they are called, the sources of fiqh all derive from the Revelation (wahy) of Allaah, whether it is Qur’aan or Sunnah. Hence we prefer to divide these sources into original sources, namely the Qur’aan and Sunnah, and secondary sources to which the texts of the Qur’aan and Sunnah refer, such as ijmaa’ (scholarly consensus) and qiyaas (analogy). End quote. Al-Madkhil li Diraasat al-Sharee’ah al-Islamiyyah (p. 153). With regard to sources other than these four, such as the opinions of the Sahaabah, istihsaan (discretion), sadd al-dharaa’i’ (blocking the means that lead to evil), istishaab, ‘urf (custom), the laws of those who came before us, al-masaalih al-mursalah (things that serve the general interests of the Muslims) and so on, the scholars differed as to how valid it is to use them as evidence. 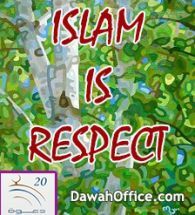 According to the view that they are acceptable – all or some of them – they are secondary to the Qur’aan and Sunnah and should be in accordance with them.